This post may have been compensated in goods, services, or monetarily, however all opinions are 100% my own. We all know that the kitchen is the heart of the home. What many of you also know about me is that I am not a huge fan of cooking. But I still love a gorgeous kitchen, because we like to have friends and family over a lot. So I do end up preparing quite a bit of food. Which I love when we have big gatherings, or even a sprinkling of hungry teenagers. Since we are house hunting, I’ve been looking at kitchens. LG Matte Black Kitchen range, refrigerator, microwave and dishwasher. One of my biggest pet peeves with appliances is the smudges. I have boys and they are messy. What appeals to me is the resistant finish on these appliances which hides smudges. This way, my kitchen can still look clean and sophisticated without me being a slave with the cleaning. These appliances are also a true techie’s dream kitchen. These LG smart kitchen appliances are wi-fi and voice-enabled, allowing you to control your kitchen appliances remotely — from changing settings, to checking the status, or turning on or off. They are perfect for a busy mom like me who is always on the run between work, school, volunteering, baseball and life. 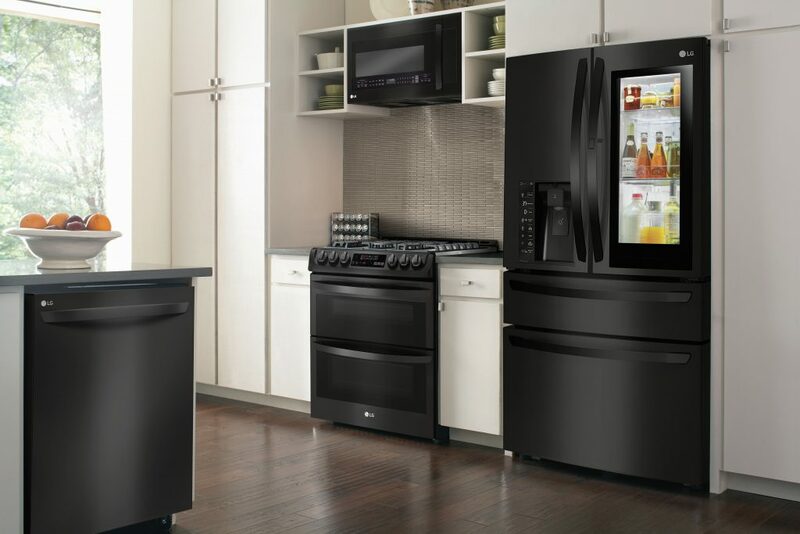 The appliances are available at Best Buy where you can save up to $350 on LG kitchen appliances. I see this popping up all over the place about the new black appliances. Sounds like black is the new hot thing once again over stainless steel. I am loving this new color for appliances. I love black appliances and this will be my next choice for sure. Matte Black! Oh I just wish this is also available here when I change our fridge. These appliances look so sleek. I just love these new matte black appliances! They look so sophisticated and I love the print free! These are beautiful! I love that they’re stainless and matte and have smart technology & we love Best Buy! Now I just need Santa to drop these off in his sleigh! How responsive is the voice-enabled controller? Which words do you use to control the appliance? Wow, such a nice kitchen appliances to have and I love the voice control features. I will go ahead and check this out as I am going to change my kitchen appliance, thanks for sharing!